The Coleg Harlech archive moves to the National Library of Wales. For almost 100 years Coleg Harlech was one of Wales’s foremost educational establishments. It was established in 1927 by Thomas Jones CH (who had been cabinet secretary to both David Lloyd George and Stanley Baldwin) with the aim of providing residential adult education, especially to those who hadn’t had the opportunities of education. Students came from all over Wales and many former students went on to play key roles in the life of the nation. 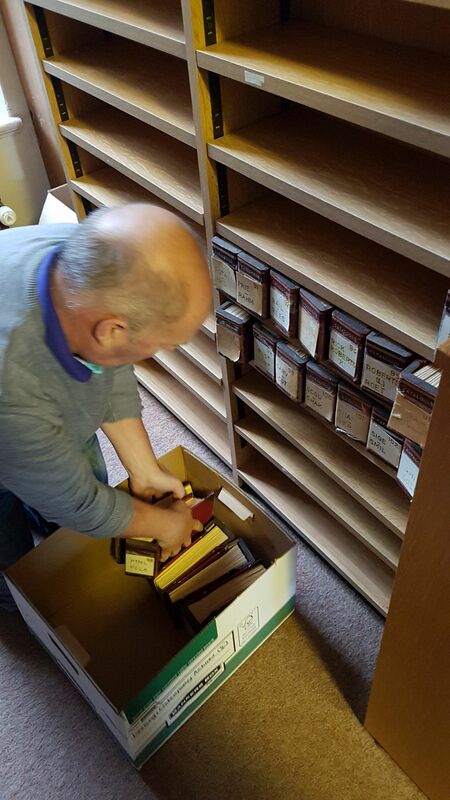 Following the closure of the college in 2017, the Library began discussion with Adult Learning Wales to ensure that the college’s archive was preserved. 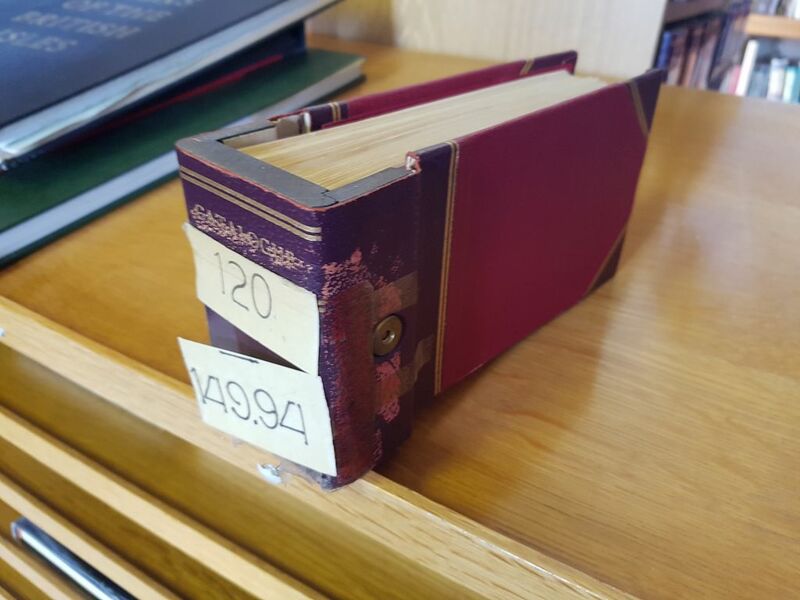 This wonderful collection traces the whole history of Coleg Harlech through documents such as annual reports, minutes, correspondence, registers, prospectuses and photographs. It contains plans for the development of the college site and documents which bring the student experience to life. A book on the first 50 years of Coleg Harlech was published in 1977, I’m sure that the archive contains plenty of material for further books and articles. 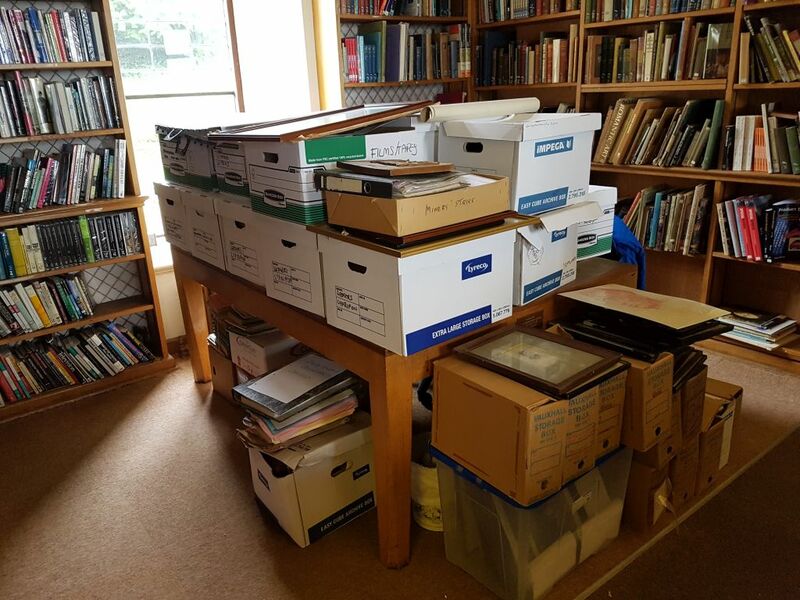 The archive is a large one and will probably fill more than 100 archival boxes, so packing and moving it would have been challenging, even in the best of circumstances. Unfortunately, the dates we’d arranged to collect the archive – Thursday 20th and Friday 21st September coincided with the arrival of Storm Bronagh! 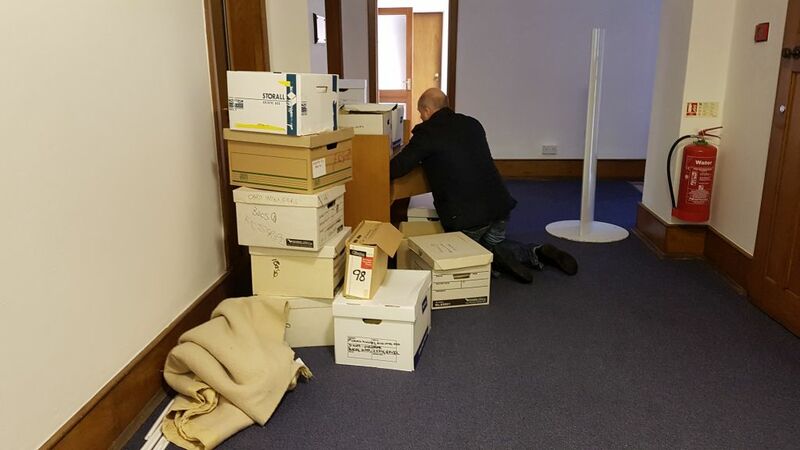 I’d been up to Coleg Harlech to make preparations to move the archive beforehand; listing what there was to move, packing the archive in boxes and putting them all in one place. It was also a good opportunity to plan how we would physically move things – for example checking where could we park the van, how would we get the boxes out and whether there were there any steps. So, in the middle of the heavy rain and high winds were we loading the Coleg Harlech archive in the van. We always plan for bad weather and the blankets and covers we’d brought to keep the boxes dry while being moved did their job. The archive stayed dry – but we got soaked! 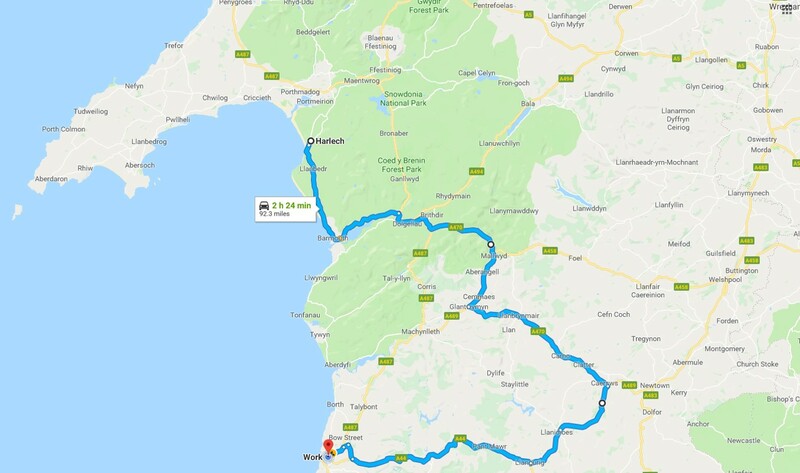 As it was such a large archive, we needed to make two trips to Harlech and by the send day the heavy rain had caused roads to flood. 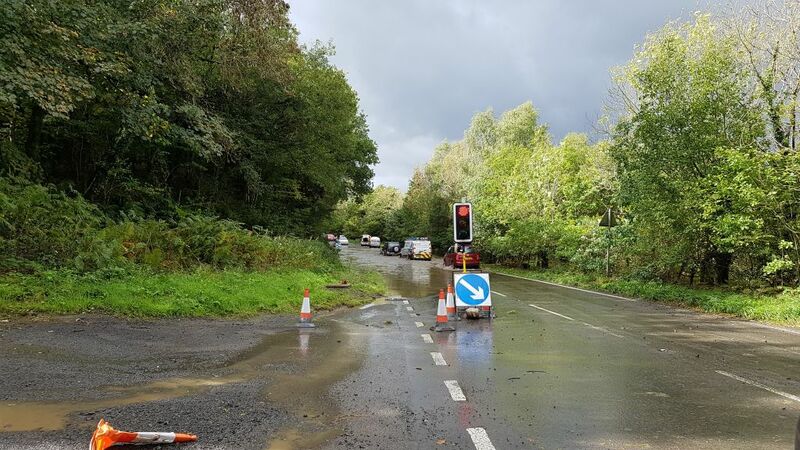 Our trip to Harlech was diverted via Mallwyd and Cemmaes Road due to the Dyfi Bridge being closed. 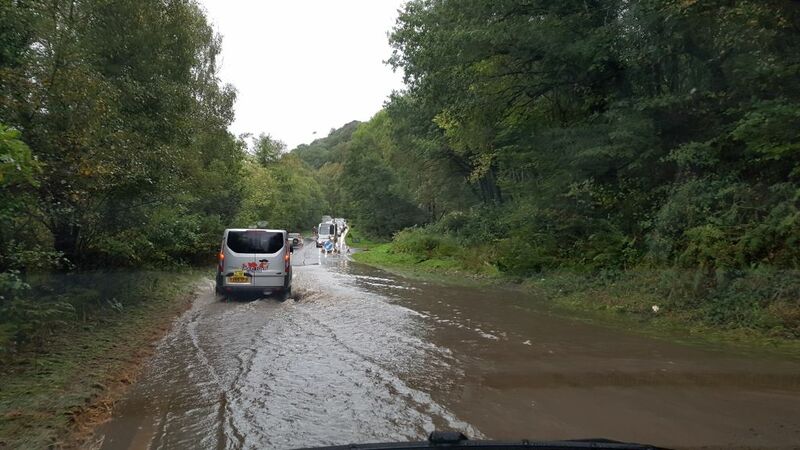 Our return journey was even longer as further flooding meant we had to travel via Caersws and Llangurig. The flooding at one point looked passable, but we decided not too risk it just in case water did get into the van and the precious archive would be turned into slush! Coleg Harlech was also home to a fascinating library which included a substantial collection of political books. Sadly we weren’t able to take the library was well – the books are in the National Library’s collection in any case – but we were able to preserve the library catalogue as part of the archive. 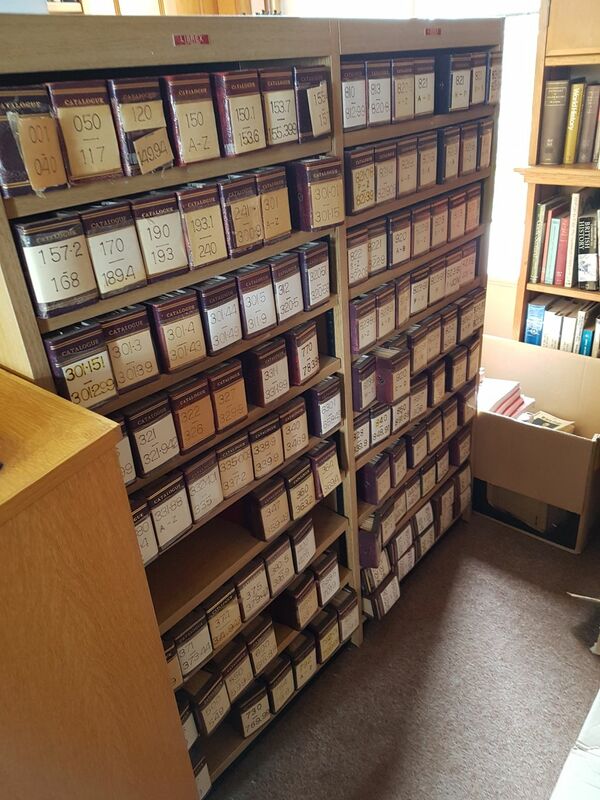 This comprises 120 books listing the contents of the library by location and author. The archive is now safely at the National Library of Wales and we aim to start sorting and cataloguing it in the new year. 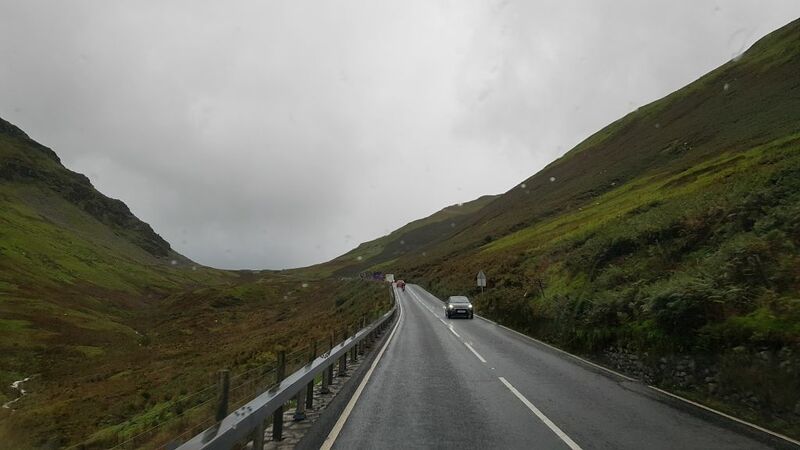 It will be a complicated project, but it will mean that the records of Wales’ ‘second-chance college’ will be available for researchers for the future.